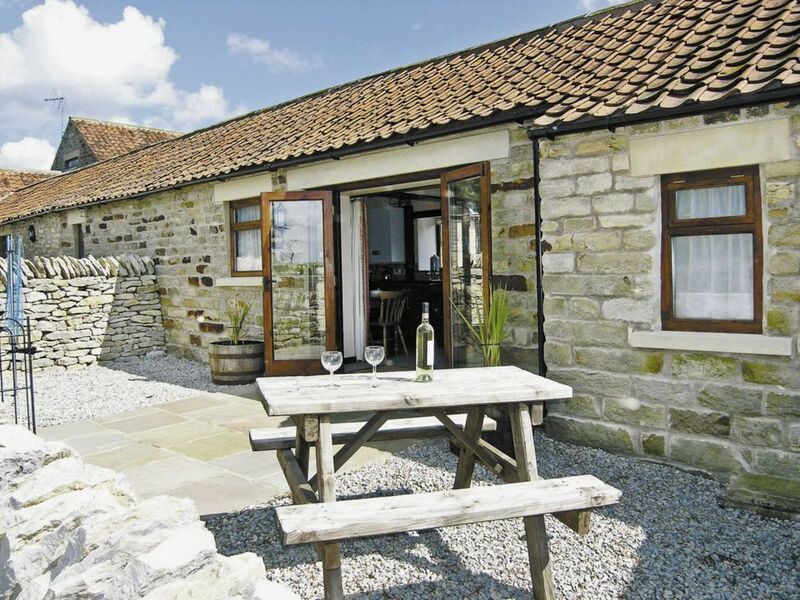 Attractive converted farm buildings overlooking the Vale of Pickering. Rural area, ideal for walking and cycling. Overlooking the Vale of Pickering, this attractive cottage has been converted from a former farm building occupying a lovely courtyard setting. It is perfectly presented with a patio taking in the open views over the beautiful surrounding countryside. This excellent accommodation is next to the owner’s working farm and a small registered five caravan site, ideal for those wishing to experience the delights of country life. The cottage is within reach of the attractions of the North York Moors National Park, the Heritage Coastline and the Vale of York. Cycle the quiet byways and lanes or walk the numerous footpaths and enjoy this idyllic location. Days out can be had at Nunnington Hall, Duncombe Park and Castle Howard, with a public swimming pool and sports complex available at Ampleforth College, there is also a municipal golf course at Kirkbymoorside. The Eden Camp army museum and the North York Moors Steam Railway are also close at hand providing other interesting alternatives. Shopping can be done in the welcoming small town of Kirkbymoorside 10 minutes away and there are several tea rooms and good restaurants in this lovely area. This property can be booked together with Oak Tree Cottage (DC4437) to accommodate up to six guests. Spacious open plan sitting/dining room: with TV/DVD player and CD/radio. Kitchen area: with electric oven and ceramic hob, microwave, fridge, washer/dryer and iron/ironing board. Shower room: with large shower cubicle, basin and WC. Gas central heating, electricity, bed linen, towels and Wi-Fi included.Patio with garden furniture. Private parking. No smoking. ADDITIOANAL INFORMATION Please be aware this property is only suitable for adults, there for children are not allowed. This property is located within a working farm environment.